This book explores the foundations of the science of Islamic legal methodology (usul al-fiqh) based on a historical and systematic analysis of the body of work by the famous Hanafite jurisconsult from Central Asia, Shams al-Aimmah -al-Sarakhsi (d.483/1090). 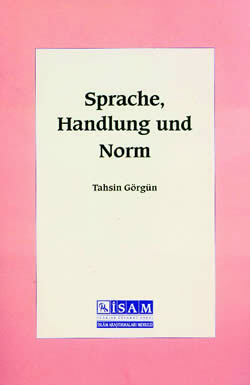 The author examines the historical development of the science of Islamic legal methodology after Shafi‘i and up to the time of Sarakhsi, and its relationship to syntax (nahw). In the theoretical section he discusses some fundamentals of the science of Islamic jurisprudence furu‘ al-fiqh that also concern linguistics, philosophy of language, and ethics. In addition, the author tries to demonstrate how the main principals observed in usul are reflected in furu‘, or the individual cases. He does so based on a case study of Muslims living as minorities, and in the way Sarakhsi evaluates their legal situation and the solutions he proposes to the peculiar problems they face. While this study is an introduction to Islamic legal methodology based on historical experiences, it can also be considered as an essay dealing with how the connection between Islamic legal methodology and individual cases could actually be established.